Fuel is near 30%, oil is present, all fuses are ok, the rest is ok too I suppose... but...? Ok Jack solved this problem on "maintenance" panel. Question about Trim Elevator simconnect function. What do You use here? I cant find, I dont see here Local, FSUIPC or LVAR function. 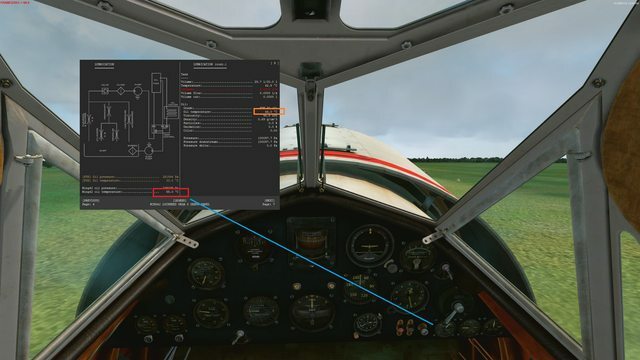 FS/P3D as default uses here simconnect function: ELEV_TRIM_DN and ELEV_TRIM_UP, which doesn't work in Vega VC. I can't setup Trim for Saitek panel what is important for me . I am actually not using simConnect to set the trim. 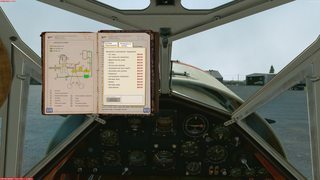 The animation of the elevator and the trim lever are a simple readout of the variable (A:ELEVATOR TRIM PCT,percent) and I use the K:AXIS_ELEV_TRIM_SET event to set the trim whenever you click and drag the lever in the cockpit. Essentially, I don't see any reason why the default events for the elevator trim shouldn't work. 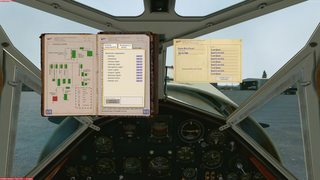 I assigned two of the buttons on my old X52 to the "elevator trim up" and "elevator trim down" within the sim and it works fine. Sorry I can't be of more help, but maybe check if there isn't something else that is overwriting your joystick events? Maybe you set it up twice - in FSUIPC and within the sim's settings? How about Oil? It isnt finished yet, right? I see difference between temperatures of model and sim. I'm happy you got the trim working! The difference is to be expected. 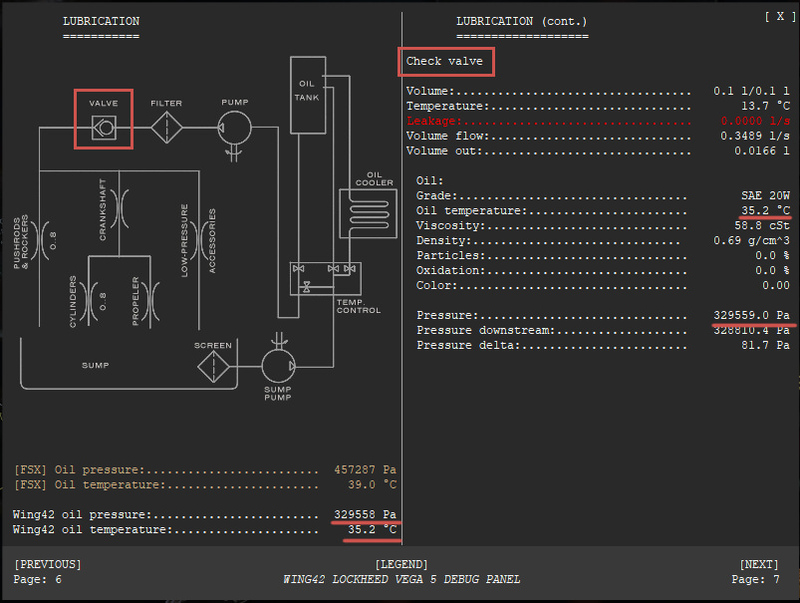 The oil system integrated in the Vega runs completely independent of the values the sim calculates. I included the FSX/P3D value purely as a reference. The oil system itself is essentially finished, the only thing that will require some time is tweaking the parameters, since right now there's still some issues regarding the heat dissipation. So which Oil temperature coresponding with the main Gauge? Looks like Wing42 Oil (The red one I think). The oil temperature and oil pressure instruments have their sensors located at the engine's inlet. Since the check-valve is the last external part, that's what provides the data in the sim. If you click on the valve, you will see that it's oil parameters match with the "Wing42 oil temperature/pressure" values, and those are indeed the values used by the two oil gauges on the dash.